17 years ago Mark and Sally were everything to each other. They had just met a few months before at an end-of-the-summer wedding of two mutual friends. Since neither of them knew knew very many people there, they struck up a conversation about the “embarrassing moments” they could recall about the bride and groom. Then after a little while, they started dancing with each other and as fate would have it–they really hit it off. It wasn’t long before they became best friends. Passionate lovers. Wannabe Tango dancers, and parents of two beautiful little girls. After Mark’s father died suddenly, they became proud owners of a construction business that Mark never really wanted to be a part of. On the outside, their relationship looked great but lately the reality of their lives together told a much different story. Why did they used to be total lovebirds who really enjoyed each other’s company and now they can barely be in the same room together without blaming the other for some perceived wrong they’ve done? After talking with them in one of our first coaching sessions, it became clear that their beliefs about each other and how they perceived the other to be the “bad guy” responsible for their “awful lives” was a real problem. In fact, the beliefs we make up and hold true about someone else are almost always wrong and are often one of the biggest things that limit our ability to see the people in our lives with kindness, love, appreciation and respect. This was certainly the case with Mark and Sally. Could something similar be playing havoc in your life? 1. Realize your beliefs about your partner and relationship can change from moment to moment depending on your mood. The truth is that when your mood and spirits are high, things that your partner might say or do might not seem to bother you. When you’re tired, stressed or in a low mood, you start believing thoughts and suspicions that can float up from the past. When Mark had a few drinks, he discovered that his stress about the business, fears and insecure thoughts came tumbling out when he least expected it. He came to realize that when he was sober and in a good mood which wasn’t often, he and Sally seemed to get along and could talk about anything like they used to. But when he’d been drinking, especially when they were out together, he suspected that she wanted to be with every good looking guy he saw instead of him. He’d catch her looking and start a fight, ruining the evening for both of them. 2. Don’t believe assumptions that arise from these bogus, limiting beliefs. We all make assumptions about what we think we see or hear and fabricate a story we weave around a person or situation. These assumptions come from the thoughts we believe in the moment and make real. And it’s these assumptions that are the basis for our actions and reactions that can certainly ruin relationships. You can ask the other person a question to find out more information or you can just see the assumption as the mirage that it is. He saw the big assumptions that he made that set him up to react the way he did, especially in a low, alcohol-fueled mood. He had assumed that he wasn’t good enough for Sally and that someone else, any other guy, would be better for her to be with instead of him. In other words, he had a big pity party for himself even though Sally had never given him any indication that she felt this way. When he was sober and started questioning the assumptions he’d been making, he saw that all of this thinking came from insecurity and what happened in relationships in his past. And it had nothing to do with the present and his relationship with Sally. He was aware enough to know that if he kept on making these assumptions, he’d ruin this relationship. 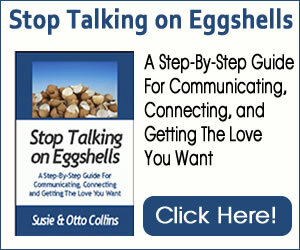 He knew that he had to stop limiting beliefs before they led to divorce. 3. Your wisdom inside knows your next, best move. Trust it. When we’re speaking with coaching clients, we always point them to the wisdom inside them to stop limiting beliefs. When they get quiet and listen deeply, they know what their next step is. Sometimes this “wisdom” inside is called the still, small voice although sometimes it’s a loud voice inside. This wisdom inside is not the mind chatter that goes on constantly but rather is what you know to be true, even though sometimes you don’t realize it. When Mark allowed his self-condemning thoughts to quiet and remember how much he loved Sally, he saw that a wise move on his part would be to limit his alcohol consumption at home and when they were out together. While he knew the source of the problems that were created were inside him, his wisdom told him that having a clear mind not clouded by alcohol would help him make more conscious and better choices. So what limiting beliefs are you buying into and what’s that inner voice of wisdom telling you about the situation? 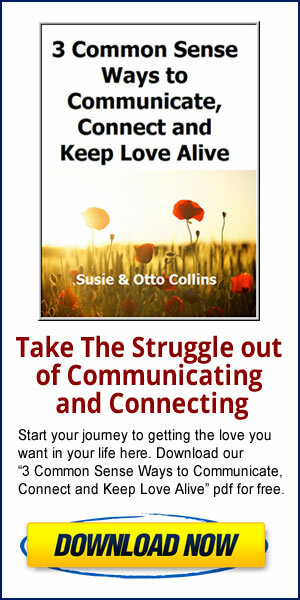 What can you begin doing to stop limiting beliefs from killing your relationships? The path to more love is not allowing your limiting beliefs to hold you hostage but rather to feel the freedom of not believing them.